Following protests and violence in Hillsborough in the spring of 1768, residents of Orange County, North Carolina petitioned Governor Tryon in May to address the problem of illegal fees demanded by court officials. Below is a transcription of the original petition. In the petition they appear to apologize for the violence but also state that they felt ignored by the Assembly. They ask the Governor for protection and to address their complaints. The transcription includes annotations with definitions and historical commentary. To the Governor & Councill &. The humble Petition of us the Subscribers sheweth that We the Inhabitants of Orange County pay larger Fees for recording Deeds than any of the adjacent Counties and many other Fees more than the Law allows by all that We can make out from which a jealosie prevails that we are misused That is, they had been mistreated or abused. and application has been made to our representatives to satisfy usThey applied to their representatives in the colonial assembly or asked them for help. But we were disregarded in the said application upon which the said discontent growing more and more so as to threaten a disturbance of the public peaceRead this sentence carefully and note how it's written. Do the authors and signers of the petition take the blame for disturbing the peace? Do they give Tryon any idea who was responsible?, we therefore beg that those matters may be taken under your serious consideration and interpose in our Favour so that we may have a fair hearing in this matter and [be] redressed where we have been wronged Our complaints are too numerous and long to be notified in a Petition, but have sent herewith copies of the Applications Petitions &c that has been made on this Occasion with a small sketch of our Misusage and begging your protection and aprobation in so just and equitable an undertaking and an opportunity to be heard We conclude your humble Petitioners. That Whereas We your Petitioners have for a long time imagined that We have been imposed and exacted upon by Sheriffs and other PersonsWhy do they say they imagined that they were "imposed and exacted upon"? (To exact a fee or tax is to demand or require it.) Are they actually saying that the unfair fees and taxes weren't real? not only in taxing their Fees or Suits receiving Sums on ExecutionsExecutions doesn't mean hangings, but rather executing or carrying out a deed or will. (The person in charge of carrying out someone's will is called the executor.) but also in collecting the Public Levys and have seen many enormities (as We apprehended them) committed under colour of their Offices some few specimens of such grievances We herewith send to be laid at your ExcellcysExcellency's feet for your inspection and this we are emboldened to do from the Assurances given us by your private Secretary Mr Edwards that you would graciously hear our Complaints that you would redress as far as in your Power our grievances, where found real and where only imaginary kindly excuse the Trouble in compassion to our ignorance — This goodness Sir, we acknowledge We have not only forfeited all title to, but also rendered ourselves liable to severe and heavy punishment by our late illegal & unwarrantable conduct Here they are accepting the blame for illegal acts. What, specifically, do they say they did that was illegal? Does it surprise you that they would mention any of these things? in holding unlawful Assemblys to consult means of redress within ourselves in taking away goods distrained by the Sheriffs, to satisfy the Public demands, and in attempting by forcible means the release of certain Prisoners, taken by virtue of the Chief Justices Warrant — For which offences (infinitely more criminal than we apprehended or imagined and which we now see would certainly be productive of the most dangerous consequences) We your Excellys Petitioners thoroughly convinced of our Errors and heartily sorry for our past conduct yet conscious to ourselves, of our loyalty to our most gracious Sovereign, of our firm attachmt to the Blessings of the British Constitution Our readiness to submit to the Laws of our Country, in paying the public dues for the support of Government when known, and our most cordial and warmest wishes for the Ease, Peace, Quiet and happiness of your Excellency's Administration throw ourselves on your Excellency's clemency having nothing to offer in excuse for our errors or in mitigation of our past offences but only that the partys aggrieved were generally ignorant men, and at the same time in such necessitous Circumstances that their utmost industry could scarce afford a wretched subsistance to their Families, much less enable them to engage in uncertain Law Suits, with the rich and powerful, (tho' injured) for we have often seen with Astonishment and concern, the cause of Justice unsuccessful in Courts of Law, this we then interpreted as some great defect in Justice, which we now understand was owing to errors in proceedingsThey believed before that their unfair treatment was a "great defect in Justice" -- that the problem was in the system of colonial government or in its administration at the highest level. Now, they believe that the problem was only "errors in proceedings" -- that individual officials simply made mistakes. Earlier in this paragraph they wrote about their "attachment to the blessings of the British Constitution," and here they are trying again to convince the governor that they are loyal subjects. Thus Sir, has want of knowledge and misapprehension been the cause of all our late unwarrantable behaviour and in many instances the cause and foundation of our Complaints. We therefore your humble Petitioners in the most suppliant manner submit ourselves to your Excellency's mercy and forgiveness and our grievances to such your compassionate consideration as to you in your great wisdom and goodness shall seem meet. And your Petitioners as in duty bound shall ever pray &c. &c. &c.
Inhabitants of Orange County to Governor and Council, "Regulators' Advertisement No. 9," and Inhabitants of Orange County to William Tryon, in The Colonial Records of North Carolina, ed. 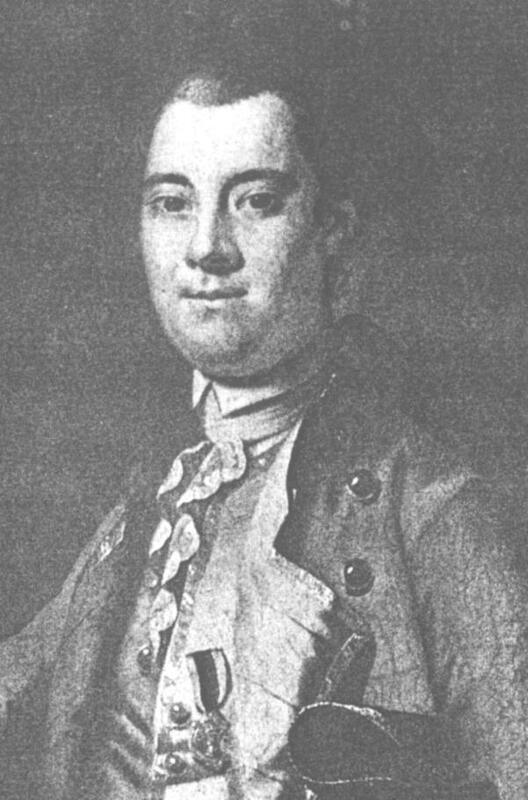 William Saunders, Vol 7, 1765-1768. Primary Source Collection Colonial Governors' Papers, State Archives of N.C.